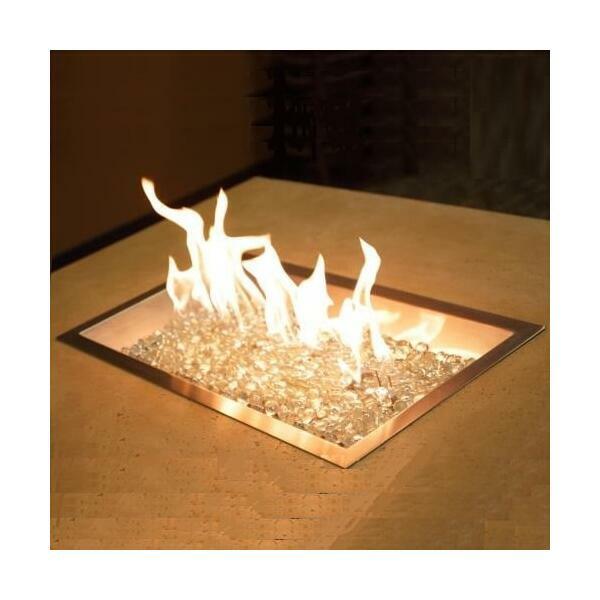 If a do-it-yourself fire pit project is currently on your list of things to do, then you must consider the products from The Outdoor GreatRoom Company such as the 12" x 42" Rectangular Fire Burner. 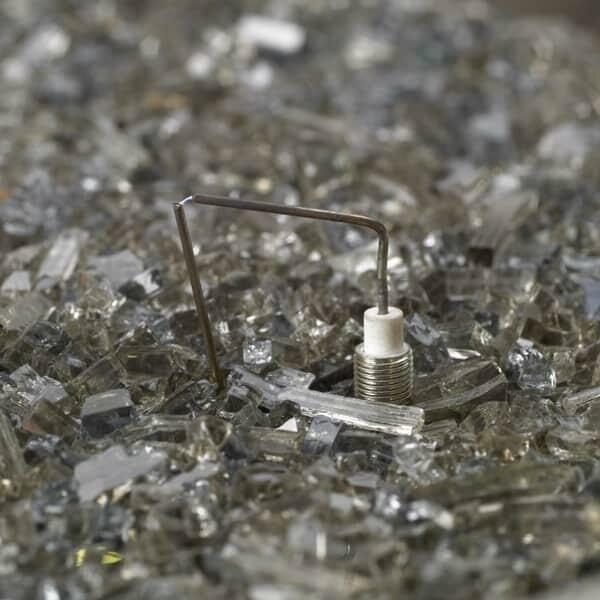 Build a private oasis in your backyard with this fire burner insert that comes with everything you need to hookup to a natural gas line or liquid propane tank. The stainless steel fire bed is designed to hold 16 pounds of fire glass, which comes standard with any order. 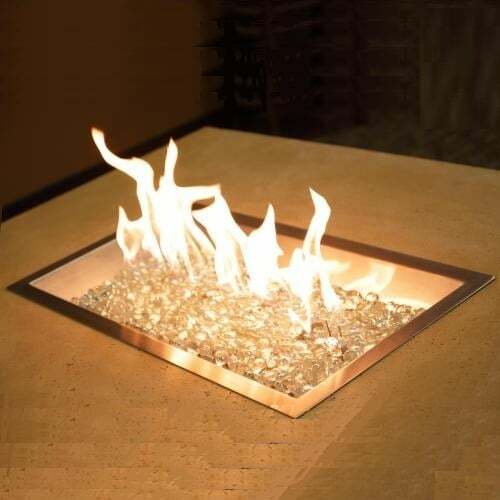 Envision your backyard with a beautiful gas fire pit that attracts guests like moths to a flame. 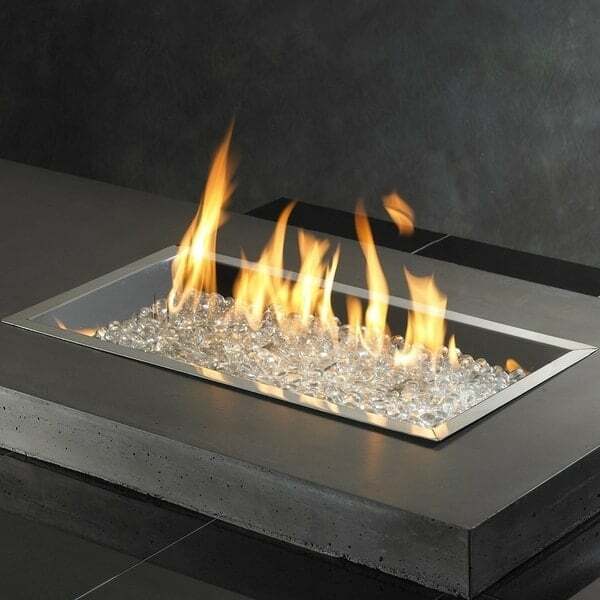 And speaking of flame, starting a gas fire pit is fast, clean and easy with a simple turn of a key; avoid the smelly starter fluid, hauling wood logs around the yard and the dirty soot associated with a traditional fire pit!